Yes, you are reading this right. The Pruitt clan is expanding. It’s been quiet around this blog, mostly as this quote isn’t entirely representative of where my mental state started when I found out I was expecting. At 19 weeks, I am finally here, but to say this little one was unexpected, a surprise, not in the plan, would be an understatement. 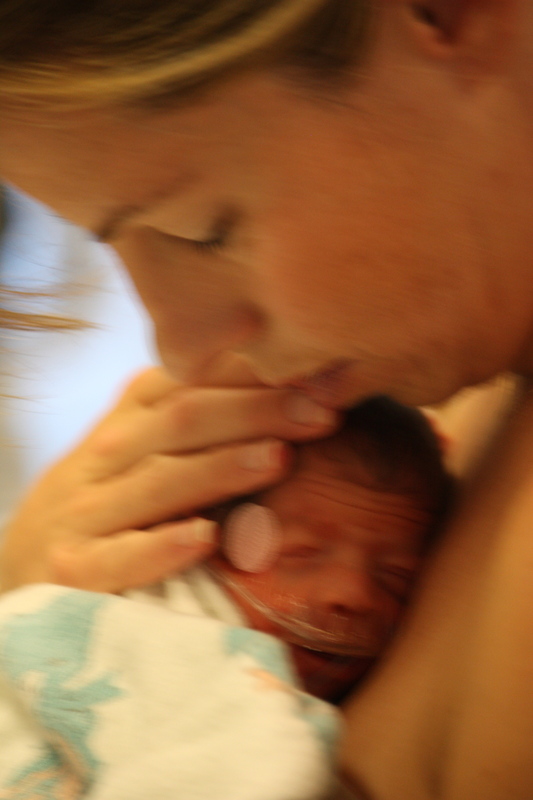 As we all know, after trying to conceive for almost 2 years, I had to go through IVF to be granted the blessing of Q and E. Aside from all the obvious, “there are things you can do,” I am now 38, I couldn’t get pregnant the first time around, and I wasn’t expecting to be able to get pregnant now….But, guess what, I am now that story. Now, I am sure some folks are thinking, how can she say this, gasp! But, our experience of delivering and having minis hasn’t been exactly typical. Additionally, we have had a baby in our sweet angel E for the past 3.5 years. At a 10 month developmental age, I was terrified we would let her down. Somehow, not be able to continue to give her what she needs and will continue to need to progress. To give her the very best opportunity possible to find her best quality of life. On the flip side, I feared for little Q, who is thriving as he continues to learn and bring light and love into our lives: would we be able to continue to give him the unique place in our family as our bug? How could we, and I, truly practically integrate an infant into our lives, between therapy, work, advocacy, school, and still give this new little miracle the kind of love and attention that it will deserve. As so often it is, the view in the rearview mirror is much clearer, and as fate will often have it, we learn and grow from each experience, with each experience becoming the foundation for another. At 13 weeks, as we waited for the results of my CVS with a full panel of genetic testing (a test done to identify any conditions or issues with the fetus), my anxiety levels crept to new heights with each passing day. I was holding off on my attachment. I could feel it. I had been down this road before. Expecting the call the first time around from E’s testing, contrary to what I believed they would say, rocked my world to its core. I had thought when E had done her genetic testing it would come back negative. 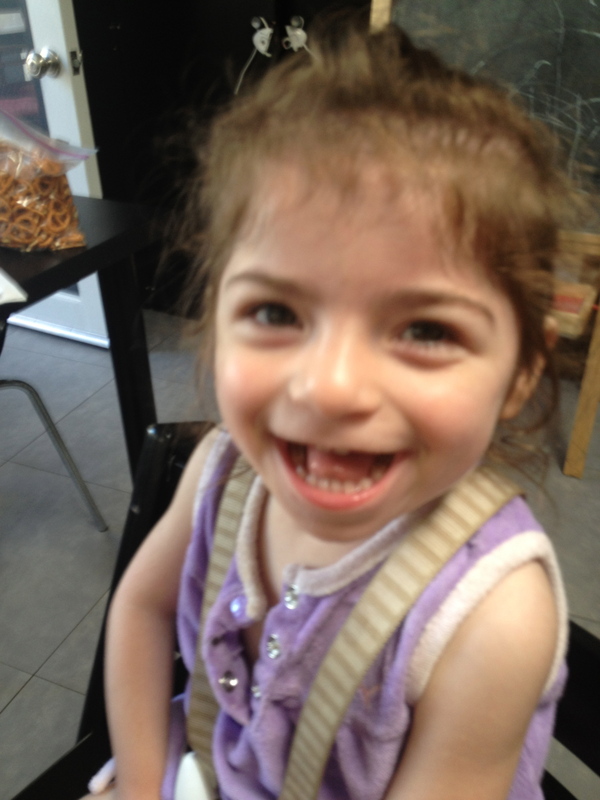 We would chalk her delays up to Cerebral Palsy (brain damage), not a lifelong, rare genetic condition, Angelman Syndrome. As the fear grew that history may repeat itself, so did my realization that I was attached. That I had turned a corner. That, while my fears of how we would do this and make this work hadn’t totally dissipated, I knew in my heart of hearts that like everything, we would figure out a way for this little one to become seamlessly part of our family. When the phone rang at 3:30 in the afternoon exactly 14 days later, every fiber of my being froze in anticipation. My breathing shallowed and my heart clenched. The genetic counselor with lightness in her voice said happily, “she is fine.” A baby girl. A she. A perfectly healthy, chromosomally normal baby miracle girl. I could feel the shift like a tectonic plate in my heart. It would be ok to now allow the sliver of light or hope to shine in. To embrace the miracle that she could be for our entire family and for me personally to experience a hopefully more typical experience of having a baby. Each day, I put my hands on my growing belly and welcome our new sweet girl. I tell her about her sister who will inspire her and us to do great things, and how much E will look up to her. I tell her how much she will learn from her brother who is whip smart and the gentle spirit of an angel and as if reinforcing my sentiments, Q will put his hand on my belly and tell me, “there is a baby sister” in your belly. This post is also part of the journey. To not be afraid to say it outloud. To not be fearful that if I do, something bad will happen. To let this part of the experience be happy and joyful. A friend early on said to me, as she tried to help me cope with the shock and fear I was feeling, “you have no idea how much love this baby will bring into your family.” She is right, but with each passing day, little pieces of the wall begin to crumble and I begin to feel the enormity of the love that is awaiting us all. If you are a “Revenge” fan like me, then you will have been excited about the return of a new episode last night. As it hasn’t yet aired as I type this, I am excited to see just what Emily has gotten herself into now. If you aren’t familiar with the show, Emily is avenging the unjust prosecution and subsequent killing of her father. One of the things that carries through the entire series is the “infinity x infinity symbol” that was their sign between them as a Father and Daughter. It was a gift he gave her that she could always take with her. As Valentine’s Day approaches, I think about all the “Infinity x Infinity” loved ones in my life. KSP, my little Q and E, our family and friends. In the past, when it was just me, or even in a relationship I was never a big Valentine’s Day person, mostly because I never had a lot of boyfriends, just guy friends. But, I have always loved love. Now that I am a mother, I love teaching my minis about love. About what it means to love. To show love. To give love. To receive love. So that they know that their parents love one another and will provide as best we can a stable foundation of love that they can draw from. So that they know how much they are loved. That “Infinity x Infinity” can only begin to scratch the surface of how much they are loved. There is a pure beauty and simplicity in the concept of “Infinity x Infinity.” As a mother, I am also sometimes surprised by the power of my love for Q and E. The strength it gives me to fight on their behalf, to speak up when I don’t think they are getting what they deserve when my voice might have failed me in the past, and the purest joy when I achieve something they need. It is in these times that I truly no that this love defies anything that can be explained and transform a person into something they never knew or thought they could be. So as I love love, and there is a holiday about love approaching this week, I will be embarking upon a little project with my minis. The plan is we will make cookies, and also cut out some hearts to make our own little version of cards for those we love. While I can promise the cookies will probably turn out well, and the cards probably will not (I am not so crafty, but I try:)), there was also a special treat for me this week to remind me as an outward symbol of the infinite love I feel and receive. 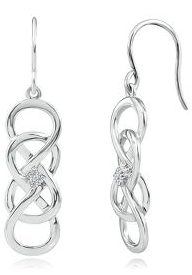 HElZBERG Diamonds reached out to me as they know about my guilty pleasure “Revenge” to ask me I would accept a pair of their new”Infinity X Infinity” collection diamond earrings, I had to say yes, who wouldn’t? It was a perfect combination of 3 things, a symbol of infinite love, beautiful earrings, and a lovely reminder that while we also love all those around us, sometimes it’s important to be reminded that we are loved, and that we love ourselves. It was such fun treat for me, and I even got to wear them already! So as you think about showing symbols of love on Valentine’s Day, whether to someone else, or even just yourself, be sure to check out the other beautiful options available from the collection and if you are a “Revenge” fan, it will be even that much more fun! A big thanks to HELZBERG Diamonds for the special treat for me! Whether or not you like Valentine’s Day, I hope this Thursday you will appreciate all those that you love and that love you. Grand and small gestures alike can make someone feel special and when we help someone feel special, it can put all of us in a place to have “anewfavoriteday.” I know I will be appreciating all of you for the infinite love and support you have given me and our family in the past 2 years. Happy New Year! As you may have noticed, I took a bit of a break. With the holidays, it seemed like a good time to take some down time and pay attention to all the little things around me. With the minis in less activities and therapies than usual and KSP off from work, we got to spend some time as a family and reconnecting. 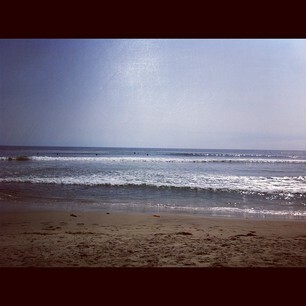 But today it felt like it was time to brush off the keyboard and come back. The New Year always feels like fresh air blowing through my lungs. A chance to look to at old hurts with new eyes and aspirations with new opportunity. Last year, I wrote a post that summed up our 2011 in music (” A Look Back and Forward at ‘Mynewfavoriteyear’ through music”) and this year, I wanted to do the same. This year has been packed with the highest highs and probably my personal lowest low. Through all of it music has been the soundtrack that pushed me to smile when I was a bit low, to cry when I desperately needed to breakdown and to laugh as I watched our little Q blow us away with his own passionate love of pop music. This is where we started. Smiles all around. 2012 came with a host of changes in our lives. KSP took a new job, the minis were preparing to go to the UCLA Early Intervention Program, I started my own consulting company to have more flexibility and life was full of possibility. As the year progressed, I thought a lot about what more I needed to do for E and Q so as to never regret not having done enough. I was constantly carrying a burden of guilt like a boulder that had been attached to me so long, I barely noticed it anymore. While quitting the corporate world and starting my own consulting company, helped, it still didn’t feel like enough. Perhaps, it was the unknown of E’s condition. While my puppy dogs and rainbows vision of everything being fine by the time she was 5 if we just did enough still served as my guiding light, unbeknownst to us, we were being guided down a new path. 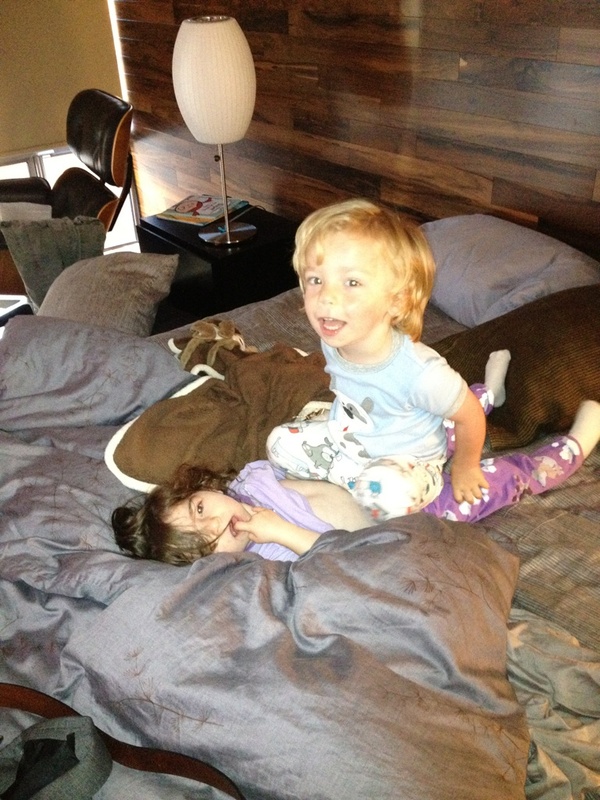 Poppy shows Q and E a good time. In March, my dad, Poppy came to stay with us for a month. The day in and day out support and the opportunity for him to spend time with Q and E in a new way, was great fun for us all. While he was here, we took the first step in what will now be a life long journey for us. 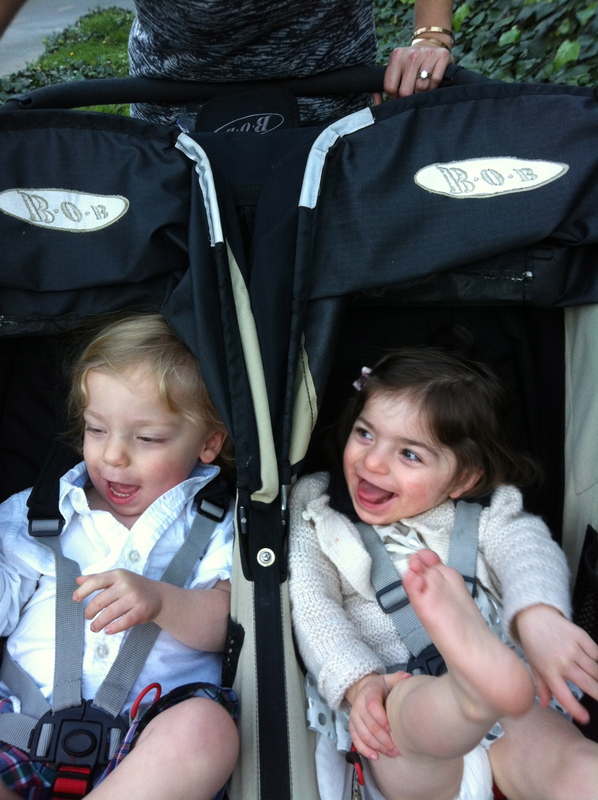 Entering the UCLA Early Intervention program was a huge turning point for us. Not only from a developmental aspect but also from a support aspect. 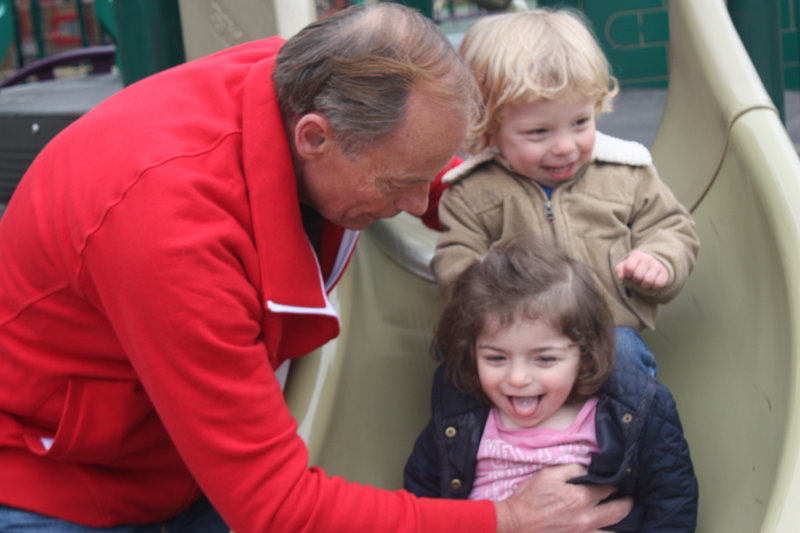 Meeting and spending time with other parents with special minis gave me great comfort. I felt “understood.” It was here as well, that E and Q would flourish in their abilities. With great pride I would watch 3 days week as Q’s empathy and attentiveness to E would grow and under his watchful eye and with the help of the teachers, E would break out of her shell and spread her wings. It was also here, that I would embrace that my little Q also needed his time. I realized there it was “Time to Begin” his journey as little Q not just as E’s brother. As in the last 3 years, the love and support we have felt came out strong when we were honored to be the Ambassador Family for the 2012 Annual March of Dimes walk in LA on April 28th. Over 17,000 people gathered in downtown LA to recognize and drive awareness and funding for research to ensure that every baby gets a healthy start and for those of us that have experienced the very challenging experience of very prematurity, the silent comfort of knowing you’re not alone. With our “Pruitt Wondertwins” team we walked 3 miles and had an amazing morning that may ultimately mean just one fewer baby will be born before it’s ready. Just a few of our dear friends who came out to walk with us, and a massive thanks to all who supported us in every way! Lest you think are lives are all minis all the time, in May I got together with my sister D in Scottsdale, AZ where we go to catch up over cocktails in a pool and cheezy dance clubs by night. 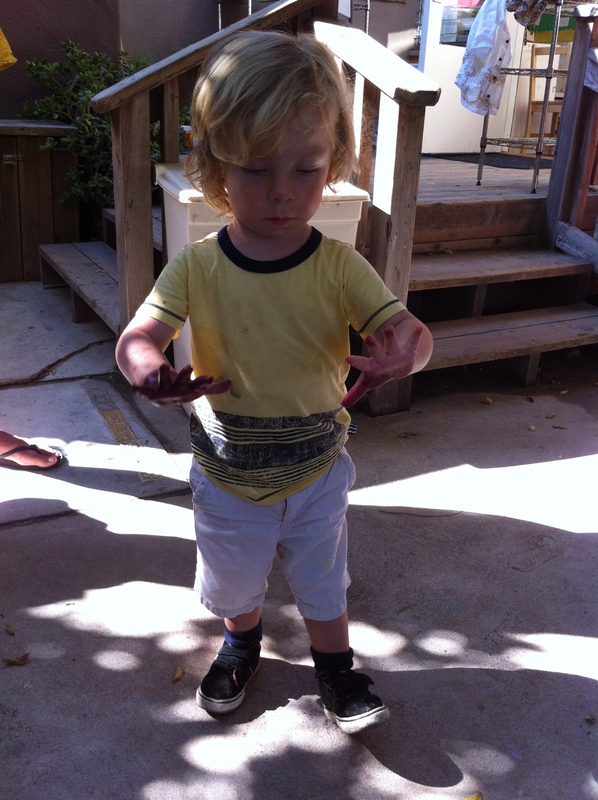 Q’s first day of school is a success, he is filthy! As the summer came to a close, and I traded in my 22 year old self for my 38 year old self (mostly, save a trip to Miami at the end of July for work), and got down to business of preparing for E’s transition into the school system in October and Q’s transition to a “typical” pre-school. Files, reports and meetings took over my life, but the biggest report was a genetics test that we had finally scheduled at the recommendation of the UCLA program. And lift me up you all did. For GP and MU, I will be eternally grateful to you as well for rescuing me on that fateful day. Thank you. Over the last 2 months, we have had many changes. New therapies, revised focus on what’s needed for both E and Q, rethinking our collective future as a family and for me personally. For Q, his continued growth and passion for music and learning has me in awe. His quick ability to laugh and entertain us all with a song, brings bursts of sunshine in our home. This year Christmas brought an extra layer of joy as he learned about Santa and began to participate in our longest Anderson family traditions. With a visit from Gigi, we made and decorated Christmas cookies which had Gigi, E and Q in fits of giggles and laughter that warm the heart and soul. 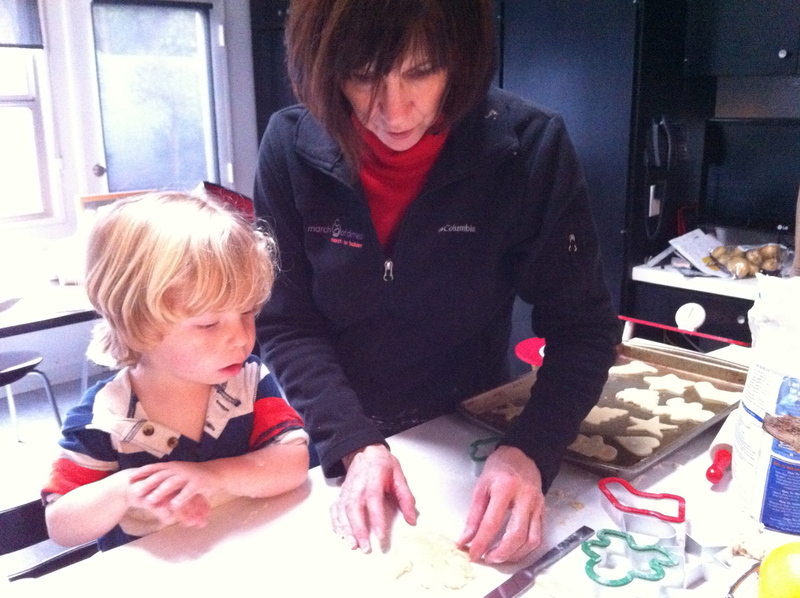 Gigi shows Q how to cut out a Christmas cookie…such fun! And of course with his love of music, he selected his favorite Christmas song to be none other than “All I Want for Christmas is You,” by Mariah Carey. We heard this song no less than 500 hundred times, but it only took 2 rounds of listening before he was belting out the words (and the instrumentals when he felt it appropriate). It’s been a heck of a few months as you all know. One up and down after another, a rollercoaster of sorts, the kind where you can’t quite see the next twist or turn, so you find yourself holding your breath a bit until the next drop and hope it’s not quite as steep as the last. But now, it’s the holidays. In our home we celebrate Christmas, but really, I also celebrate the season. The extra bit of joy that seems to pervade people all around me, the music I hear, the beautiful decorations that adorn the buildings and the magical white lights. There is a part of me that is certainly a romantic around the holidays, friends, laughter, mistletoe, twinkling everything…it’s pure happiness for me. People often complain that “the holidays” have become too commercialized and there is some part of me when I see the decorations up in October that agrees, but come Thanksgiving, my eyes turn to magic, like moths to a flame. Everything is warmer, prettier and happier. I start thinking about the perfect gifts for the people I love. The things that will mean something to them. That they may have mentioned in passing. That might give them something beyond just the day. So, when I was chatting with the folks at Target and they asked me if I would be interested in blogging about the Target/Neiman Marcus Collection, I gave a very excited “Yes!” I don’t do this kind of stuff often but, after seeing the custom spots in “Revenge,” my very guilty pleasure, they captivated my business side and I couldn’t help but see what the collection had to offer and low and behold, I think I have found many very fabulous and perfect gifts for some very special people in my life. I am going to list my faves and hopefully you too might take the time to check out this amazing collection of very fun and quite affordable items, whether it’s for your family, bestie, co-worker, or as a hostess gift for friends inviting you into their home for the holidays…seriously something for everyone! Derek Lam Slippers – they are amazing, leopard print and can be worn as shoes, let’s be honest. Pair them with a any number of outfits (jeans, white button down or black and white striped shirt) and you are fab without even trying! Marchesa Girl’s Beaded Dress – I bet you can all guess who would be true to form as my angel in this dress…little E.
Carolina Herrera Travel Bags – for any and all of my professional girlfriends and me too! Love these and can also function as a makeup bag at home. Rag and Bone Shot Glasses – these are an awesome gift for friends that you have no idea what to get. They also make a lovely housewarming gift or hostess gift. Marc Jacob’s Pouches in silver and gold – same as the Carolina Herrera Travel Bags but also for all my friends. These little gems can be clutches, or a smaller bag for our giant tote bags to keep all our our random things centralized, lipgloss, dental floss, you all know what I am talking about. Thom Browne Women’s Blazer – unabashedly for me….can also be worn with the Derek Lam slippers…yay! Proenza Schouler iPad sleeve – probably for me or any my more artistic friends, but I do find that technology casings are very personal, so this would have to be pretty specific. Those are my top items but there were definitely a few others I would sneak into my shopping cart. Everything in life changes. Everything can change. We know that those changes can sometimes bring good things and sometimes they can bring unimaginable pain. Good or bad, these changes can also bring second chances, chances that we don’t always welcome the way by which they come to us, but chances to do better, be better. As you all know, there have been major changes in our lives as of late. Emma’s diagnosis, and most recently the death of my sister’s husband. For friends, everything from major surgeries, to sick parents, to losing homes. It seems the painful changes are the ones that stick on our hearts like tacky rubber cement. Sometimes stretching just enough away from our hearts only to be snapped back at the smell, sound, touch or sight of something. In this pain is most often where our chances lie. In my own situation, I have found the chances to be a ladder out of grief and guilt. 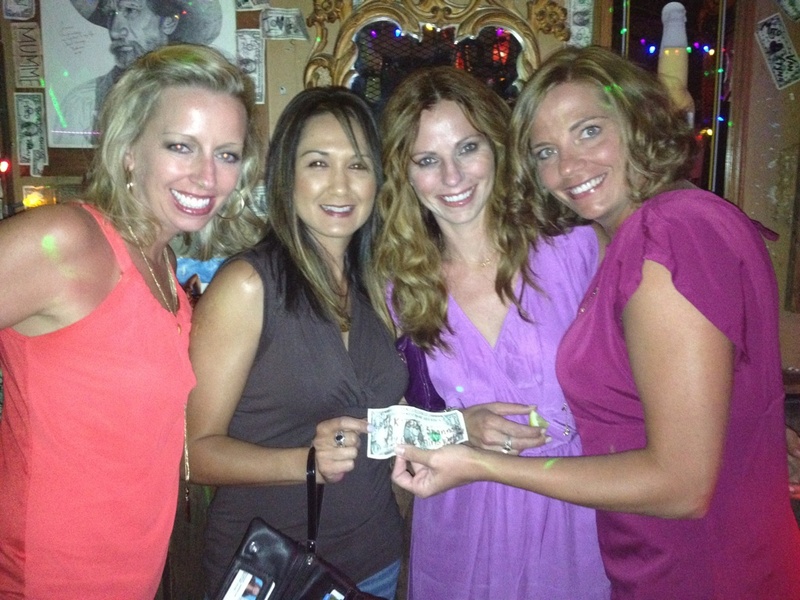 The chance to find ways to help others while helping our own family. My Brother-in-Law’s death has given me a second chance to be a better sister. To not just be ok with every once in a while. To remember that to make the effort has the ultimate payoff, a better relationship with my sister. We can all find these chances. We must refocus the lens of our pain, frustrations, sadness, guilt, to become opportunity, strength, commitment and a rejuvenation of mind and soul. It’s certainly not easy and there will be good days and bad days, but the first step is to think about “how would I want it to be?” Sometimes the very point of definition is the place from where the snowball can start to roll down the hill. Today is a very special day. As they do every year on October 18, our precious minis celebrate their birthday. It is truly difficult for me to believe that it’s been 3 years since all that swirled around us was chaos, fear, sprinkled with the purest form or love I have ever known. The love that you can feel in your bones, the kind that you can feel in your blood if you stop to pay attention, the kind that comes from being a mother. It’s this love that has changed me in more ways that I could have ever predicted or imagined. It’s this love that has made me rise above anything I ever thought I could handle or persevere. It’s love that has given me a different kind of purpose. Their birthday also becomes an occasion for me to be ever so grateful to all of our family, friends, doctors, therapists, and teachers who have consistently walked by our side. I have been rather mushy lately, but you all know that we are truly truly grateful from the bottom of our hearts, for while the journey has been one of twists and turns you never left our side. I am not one to ask for help, and yet what became clear is that in many ways I never needed too as you would all just be there, waiting and willing to do whatever you could to help. For 3 years. 3 years of love. In addition to being their birthday, today, the minis will also graduate from the UCLA Early Intervention Program which will bring its own bittersweet moments. 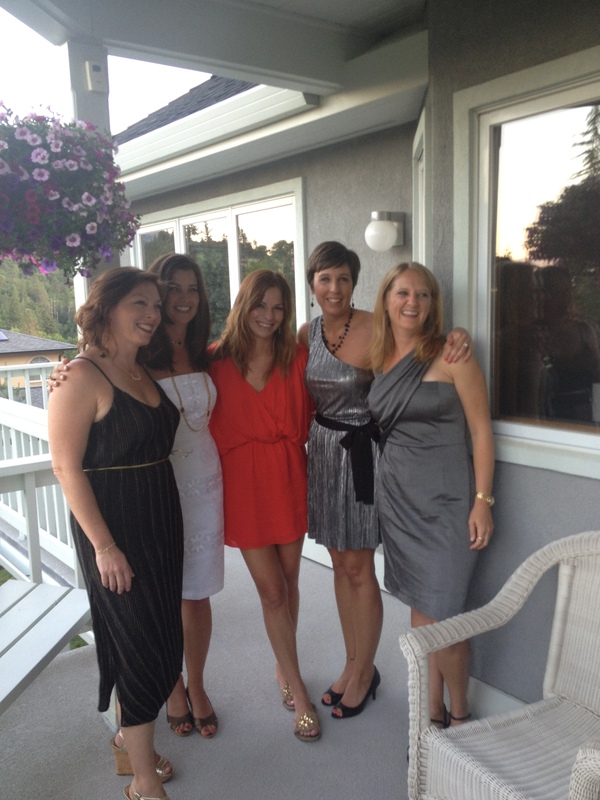 E and Q, but especially E, has thrived with the support and love of these teachers and therapists. We have been ever so lucky to have even had the opportunity to be part of the program so we will take our tears and wrap them up in the love we feel for the teachers, parents and other minis we have met through this amazing program. So again, while today will bring new changes, and new adventures, the love will remain. Today, I sat on this beach…the wind was warm as the sun shone down on my face with just a trace of the cool fall air hinting at what’s to come. I had come with everything I would need: coffee, kleenex, a playlist dedicated to my sweet angel, a swimsuit, a hat, a blanket and the journals started for the minis when they were only 5 weeks old in my tummy. I was prepared to cry, to embrace every emotion that I had been waffling in and out of for the past week. Since posting my “An Angel Among Us” post last Wednesday, texts, calls, emails, comments and FB messages have poured in with words of comfort, love, support and everything we would need to be reminded that we are not in this alone. For the first few days, I could not respond. I felt frail, sad, drained and overwhelmed by everything: I also knew I needed time. If there is one thing that I have learned in the past 3 years, which have taught me more than I ever thought I would know about myself, I need time to process. I am good in chaos. I take charge, create solutions, make things happen. I push the emotion away and let work and initiative make me feel like I am processing when all I am really doing is burying the emotions. Last Tuesday, as I read the same white paper that I posted for everyone here about Angelman Syndrome, tears poured from eyes, my body wracked with fearful sadness, and my solution DNA strand told me I would need time away from work. I would time away from the outlets that could distract me and make me feel like I was processing, which would only delay the inevitable. So I took the time. I put away my blackberry. I shut down. I cried when I needed to cry. I read every comment, message and text and silently thanked each person for their love and support but I could not respond. It’s all part of the process. Today, as I sat on the beach and cried and let the wind and sun wash over me, I thought of all the texts, comments, emails, calls, and love that have poured in over the past week. I thought about the day I got the news and where I was, and how, in its own way, it was perfect, for I was with friends who whisked me away to have a glass of an appropriately named wine, “Whispering Angel.” I thought about the amazing team of people that surround us, all fighting along side of us so that E will progress and grow and surpass any and all expectations. In that moment I realized you are all my angels. E is not the only angel that has been diagnosed in this situation, it seems you have all been diagnosed as angels for me and our family. With all of you in my heart as I sat down on the beach, I looked to the sky as I listened to my playlist and I prayed for grace and peace. The grace to find and see grace within our future and within myself. I prayed for a sign that I would have this grace, that I can find it within me so that I can accept this new label and put it away. Why Grace? Grace, for me, is a word that in many ways conveys peace. It’s a state of being. You can’t make it, or try to be it, it just is. E’s middle name is Grace. There are 4 Graces that surround E. My Grandma Grace who looks down on us from heaven and who I love beyond time and space. My own very special mom, and E’s Gigi whose middle name is Grace and loves her and us beyond measure. KSP’s Grandmother whose name is also Grace and recently met E for the first time, and of course little E. Emma Grace. Four Graces. 2 and 1/2 hours into my time at the beach, I looked back to the sky. It seemingly changed before my eyes. I had found the moment. I felt in my heart that E was not bound by her diagnosis. That a white paper would not define her future or potential. That I was meant for this. That while she is my angel, I am hers. She was given to me for a reason. This diagnosis, for a reason. Everything leading to this time, preparing us for the opportunity to show the world just what is possible. I knew then it was ok to leave, and while I had planned to spend the whole day alone healing, I went home to take my little E for a walk in the sunshine. In a spontaneous moment tonight after a meeting with a dear friend, I decided to pick up a bottle of wine to celebrate my new peace. I wanted a bottle of Oregon Pinot for obvious reasons (I am from Oregon…and am a little bit proud:)), so I popped into Bristol Farms to pick up a bottle. I scanned the shelves but strangely could find nothing, until I found this…it was the only bottle of Oregon Pinot on the shelf. 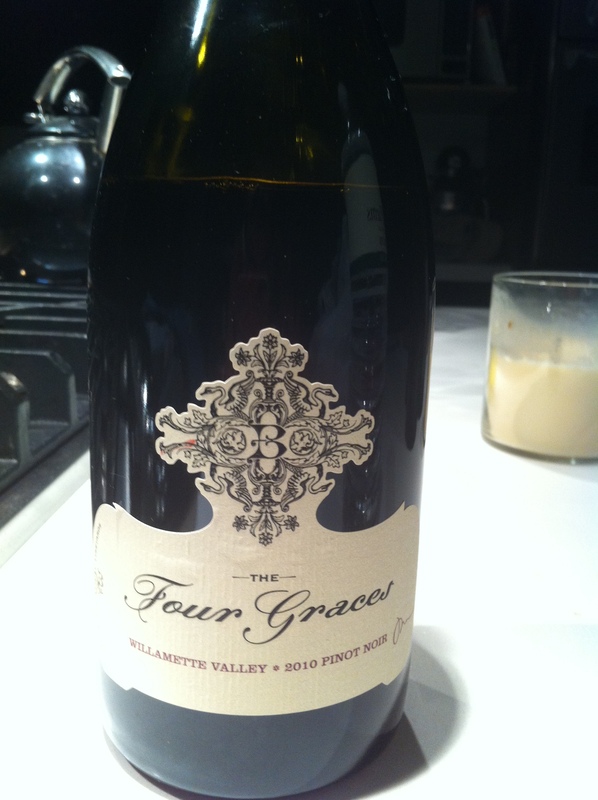 “Four Graces” from Willamette Valley Oregon. My sign. Of course I bought it, not even to really drink it, but more just to say, “I get it, ” “I’ve got this.” This week has been about finding peace in random places. In seeing the signs. In recognizing that E is not the only angel in our lives, but rather one of many who love, care, support and provide guiding lights in this journey that has been winding, scary, joyful, loving, sweet, confusing, hopeful and full of happiness. As of today, the circumstances of our lives have not been rearranged and I know, as of today, while I would not have asked for this, I feel peaceful. Full of Grace. I know me. I know her. I know our strength. I know what’s possible and what’s not impossible. So thank you angels for everything. For all of your grace to help keep us, me, going. And, to know that no matter what, you are with us, watching over us and bringing more peace and grace than we could have ever imagined.